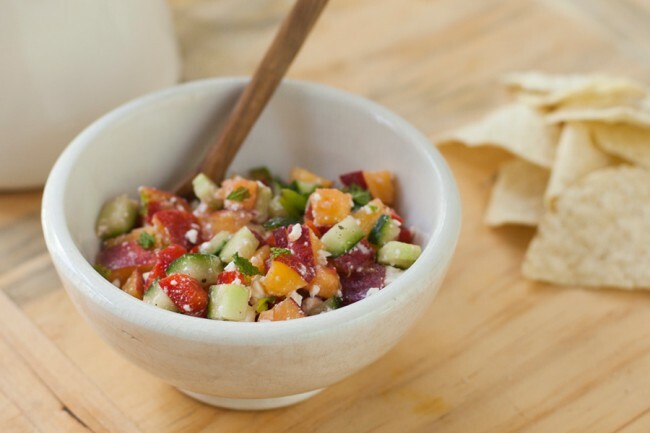 In a medium bowl, combine peaches, cucumber, pepper, and lime juice. Stir in feta and mint just before serving. Serve with pita chips for dipping or as a topping for grilled fish, chicken, or pork.